No one quite knows how to categorize Earle (country? rock? country rock? bluegrass? the dreaded "singer/songwriter"?). His gear is a little easier to get a handle on. 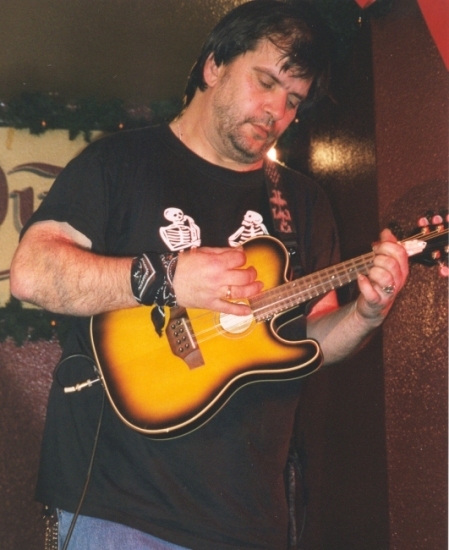 Here he is with an electric/acoustic mandolin built by Jimmy Moon.